About Us A Letter from the Principal A Message from our Pastor Why Choose OLS? 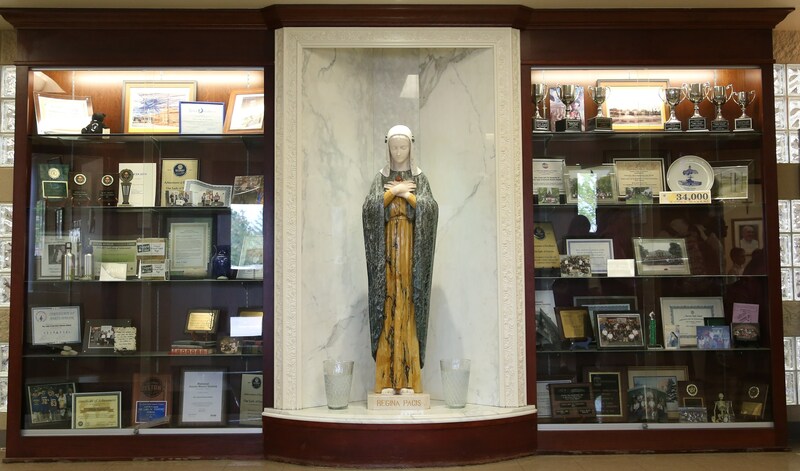 Our Lady of Sorrows is a parish school that offers a comprehensive Catholic faith-based academic experience for the whole child. New student admissions for our 2019-2020 school year is underway. Please contact Mrs. Julie McCormick 248-536-1197 or jmccormick@olsorrows.com with any questions. Serving over 800 students from 3-year-old preschool through eighth grade, our academic preparation prepares students for High School success and excellence. 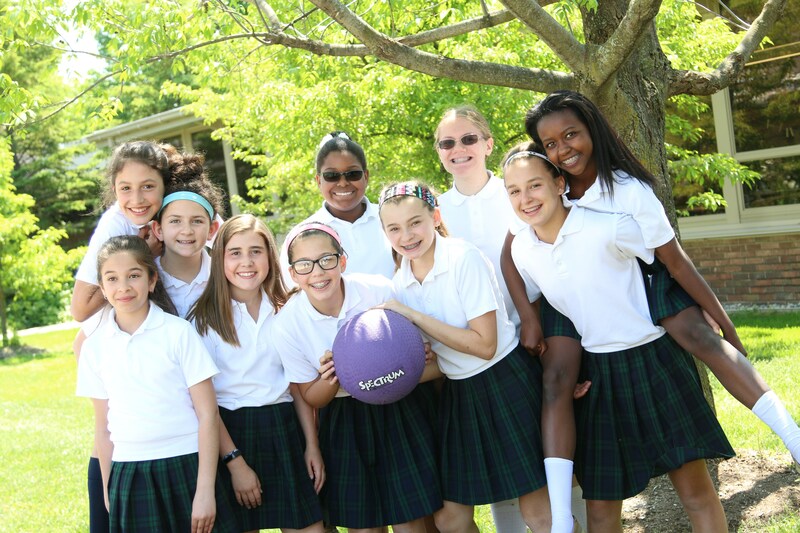 We offer students a loving school home that fosters lifetime friendships and a heart for service through a variety of enrichment programs, CYO sports, and Christian service outreach opportunities. Making a gift to Our Lady of Sorrows is quick, easy and safe. With our secure server, all of the data, including credit card information, is safely submitted to our Business Office. If you have any questions regarding any of the giving opportunities listed, please contact the Office of Advancement at 248-476-0977. 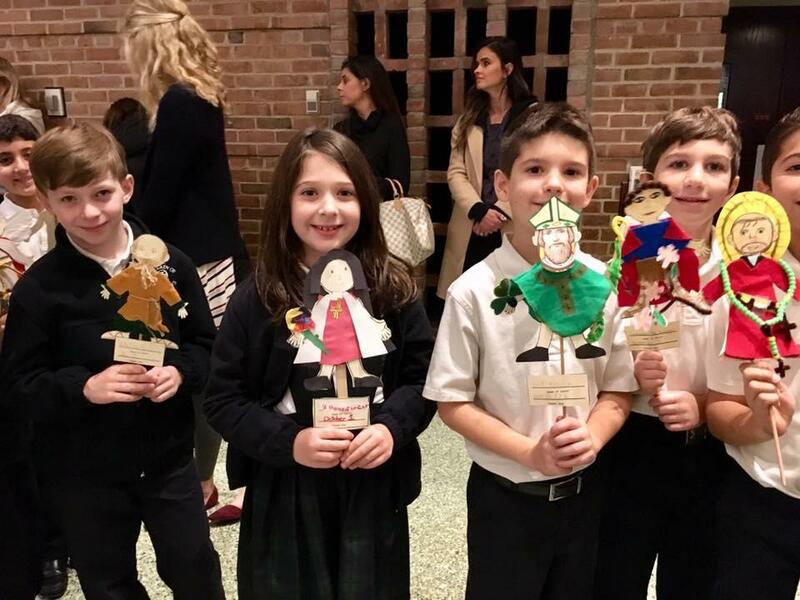 Catholic identity must and does permeate the curriculum guidelines, the instruction, and assessments. Curriculum guidelines provide a template for teachers to provide instruction, and assessments demonstrate that learners have achieved unsurpassed academic success. A process of continuous improvement ensures that curriculum guidelines are regularly examined and updated or revised where needed. For more detailed curriculum information, please visit olsorrows.com or contact Mrs. Andrea Allen, Associate Principal, aallen@olsorrows.com. 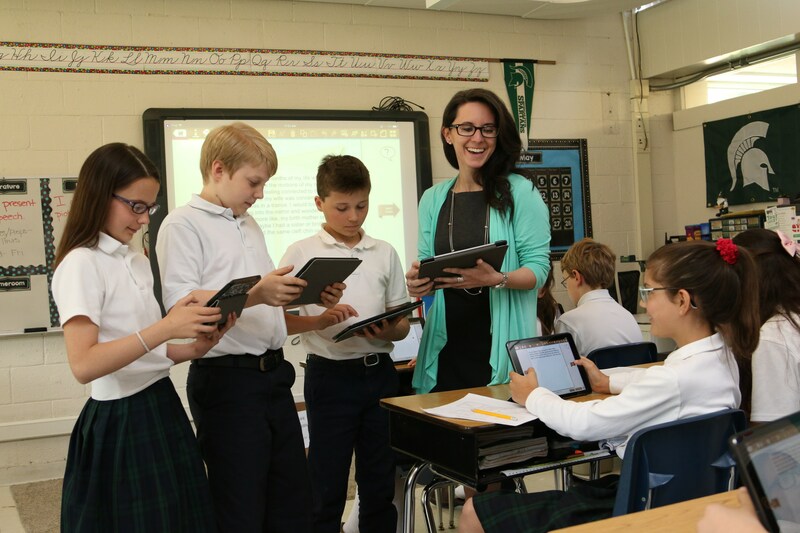 In eighth grade, students analyze how a modern work of fiction draws on themes, patterns of events, or character types from myths, traditional stories, or religious works such as the Bible, including describing how the material is rendered new. The children also learn about Radio Plays and the impact of oral tradition on literary works. Our students prepare for high school through informational writing across the curriculum to fine tune their abilities to express their academic knowledge through the craft of writing. Our students write a formal research report and write daily in the content areas. We also finish our study of English grammar in preparation for high school level courses. Our history curriculum is based on the Michigan State Standards. Our students explore history, geography, economics, government, and culture to gain a better understanding of their world. 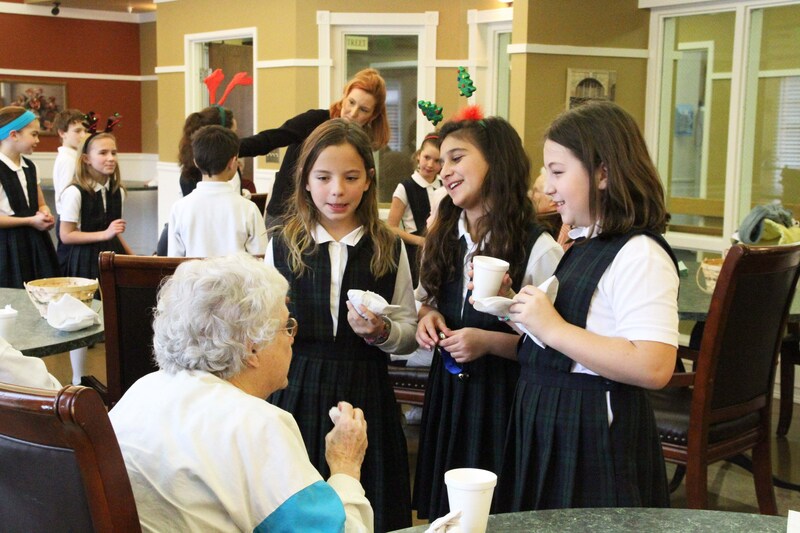 They are encouraged to relate past and present through the study of history and current events. Students will have the opportunity to study various topics in the categories of Human Biology, Chemical Interactions, Matter and Energy, and Waves, Sound, and Light. Students will develop their exploratory skills by generating their own questions, recognizing and explaining relationships that develop from scientific labs and activities. Students in 8th grade have the opportunity to dissect the cow eye, sheep brain, frog and fetal pig. Our mathematics curriculum is designed to be challenging and motivating for all students. The mathematics curriculum is based on the Common Core State Standards. The correct placement of students is essential for student success. Careful consideration of student abilities is critical to self-esteem. It is very important that all students be placed appropriately. Identification for math placement will occur in the spring of fifth, sixth, and seventh grade and will be based on multiple factors including grades, common assessments, and standardized tests. In this course, the foundations of algebra are developed with applications interwoven throughout. Topics include, but are not limited to, operations with real numbers, solving single and multi-step equations, proportions, percent, inequalities, functions, linear functions, systems of equations and inequalities, and polynomials. Emphasis is placed on critical thinking and problem solving. By successfully completing this course in 8th grade, students will be prepared for high school Algebra 1. Algebra 1: Students will study the language of Algebra, single and multi-step equations and inequalities, graphing, functions, linear functions, systems of equations and inequalities, polynomials, quadratic functions, and radicals. By successfully completing this Algebra 1 course in 8th grade, students may be able to progress ahead in their high school math programs at an accelerated rate. Emphasis is placed on critical thinking and problem solving. Honors Algebra: The prerequisite for this course is successful completion of Grade 7 Algebra 1 with a final average > 80%. This course will continue to lay a strong foundation of Algebra and to introduce topics from advanced Algebra and Geometry. The goal of Honors Algebra is to prepare students for the rigor of an advanced mathematics program at the high school level. This course will reinforce and deepen understanding of topics from Algebra 1, introduce selected topics from Algebra 2, reinforce basic Geometry and introduce some advanced Geometry topics. The textbooks we use are evaluated on a five year cycle. We choose books based on curriculum alignment, grade level appropriateness, and overall quality.